Over 2,000 years ago, the great and holy Tanna RABBI MEIR BAAL HANEIS passed away on the 14th day of the Hebrew month of Iyar. He is buried on the shores of Lake Kinneret, only a short distance from the city of Tiberius (Teverya). Before his passing, Rabbi Meir Baal Haneis promised - as his legacy to all generations - that he will personally intercede in Heaven, on be half of any person in distress, who will give charity to the poor and hungry in Israel in his memory and repeate a special mantra "G-D OF MEIR, ANSWER ME! 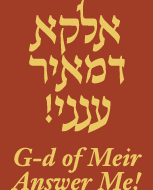 For many centuries, to this very day, it has been a sacred and hallowed tradition for Jewish people, in crisis or need, to evoked his memory and merit by giving Tzedakah (charity) to the RABBI MEIR BAAL SALANT charity and uttering the timeless holy mantra Rabbi Meir himself advised - GOD OF MEIR, ANSWER ME! 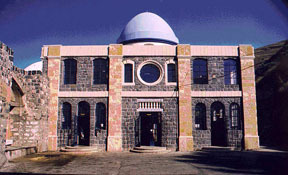 The RABBI MEIR BAAL HANEIS SALANT charity was founded in 1860 by RABBI SHMUEL SALANT, Chief Rabbi of Jerusalem for seventy years and the sagacious leader of nineteenth century settlement in Israel, to rescue and poor and destitute families in Israel from ruin. Before his passing in 1909 Rabbi Shmuel Salant pledged that one who will support this holy fund bearing the sacred name of Rabbi Meir Baal Haneis, will merit heavenly blessings and divine mercy. This miracle working charity, which champions the cause of the poor and forgotten, the old and sick, and impoverished widows and orphans, is vibrantly potent until this very day and has remarkable spiritual power. Untold numbers of narratives abound of men and women, who during a time of crisis or danger, experienced extraordinary miraculous help when they gave charity to this exclusive holy fund! 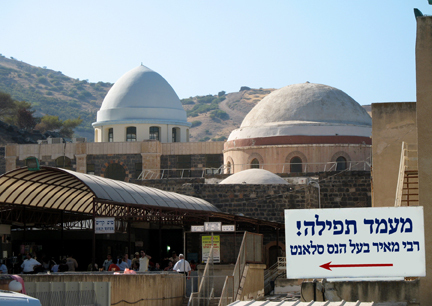 The sacred tomb of Rabbi Meir Baal Haneis is one of the holiest sites in the Jewish world today and thousands of people flock there to pray for their salvation. On 14 Iyar, the Yahrzeit of Rabbi Meir Baal Haneis, multitudes of people from all over Israel converge on the holy gravesite to pray for their loved ones. Having prayers recited at the sacred tomb of RABBI MEIR BAAL HANEIS on his Yahrzeit, when his holy power is at its peak, has for centuries brought untold miracles to countless thousands. 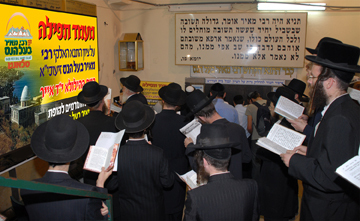 At this auspicious time, when the gates of Heaven are wide open and the merit of Rabbi Meir Baal Haneis is at its crest, the pious rabbis and scholars of the Rabbi Meir Baal Haneis Salant charity, conduct a special prayer vigil on behalf of all our supporters. They light candles and offer individual personal prayers for each and every donor. SURELY YOU TOO CAN USE AN EXTRA BLESSING IN YOUR LIFE! May it be the will of Hashem Almighty that all the prayers of the Jewish people world over be favorably accepted. Amen.